I had sincerely hoped to like these when I first purchased it. 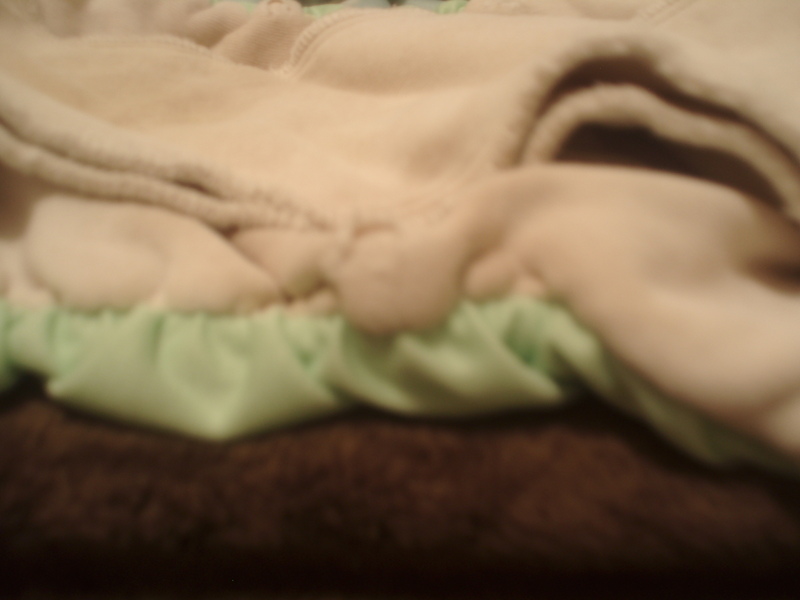 On the website, the colors really make you think the diaper is soft. For the price, you assume you will get a high quality product. 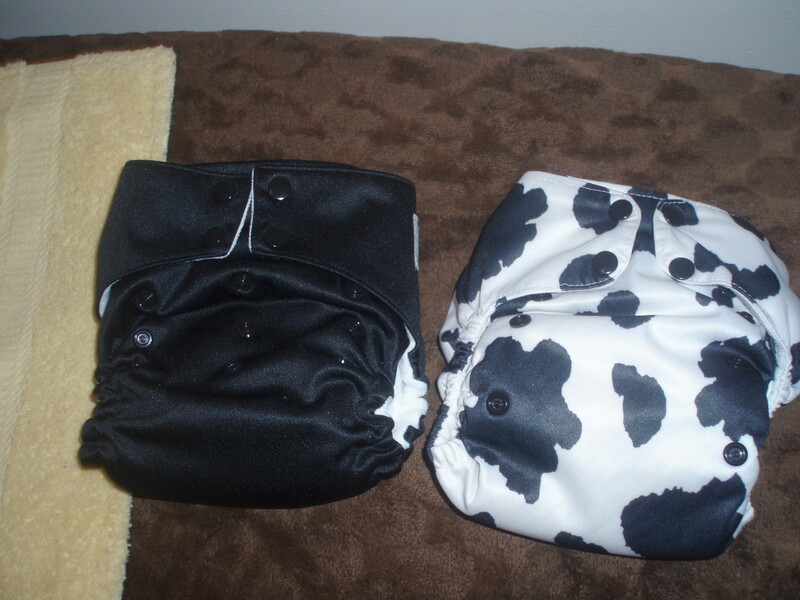 But for $18, I got a cheap looking diaper with no insert. 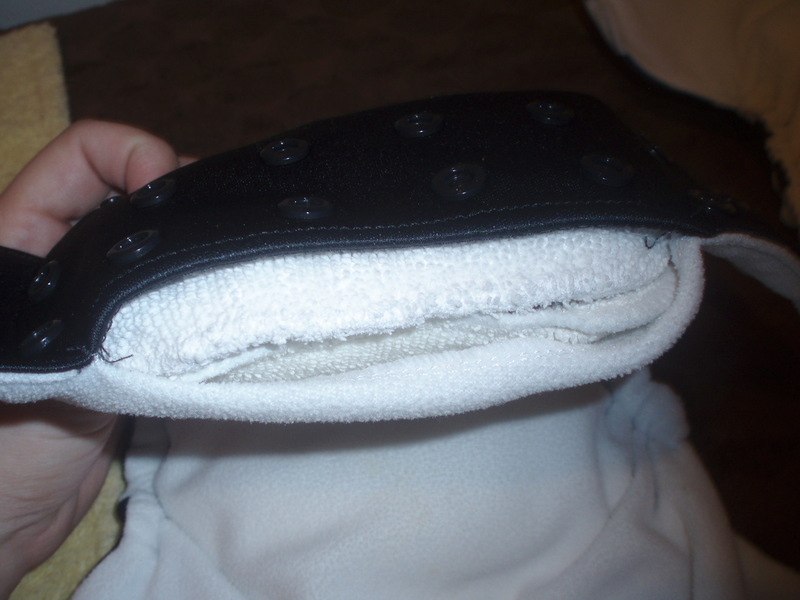 The outer PUL on this diaper is thin. 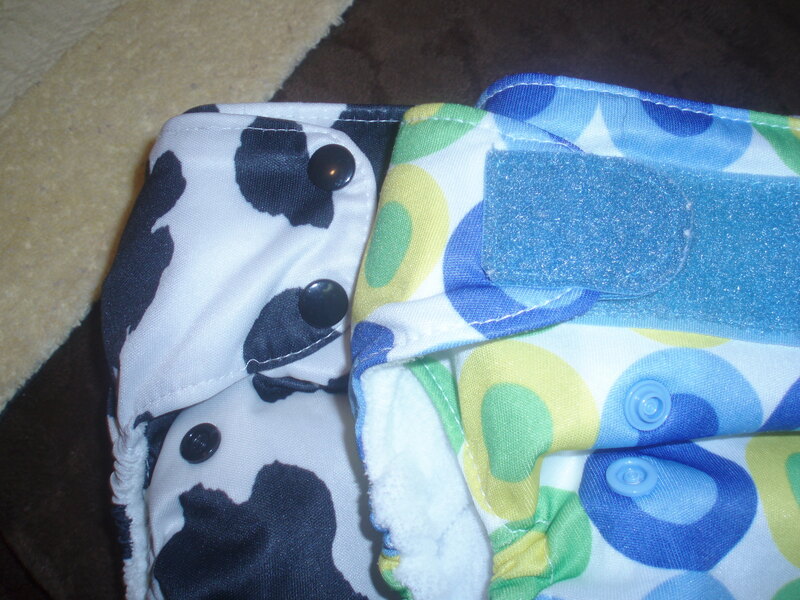 If you purchase one of the lighter colors, you can see the insert through the diaper. I’m not sure what I was expecting, but the interior is colored suedecloth. 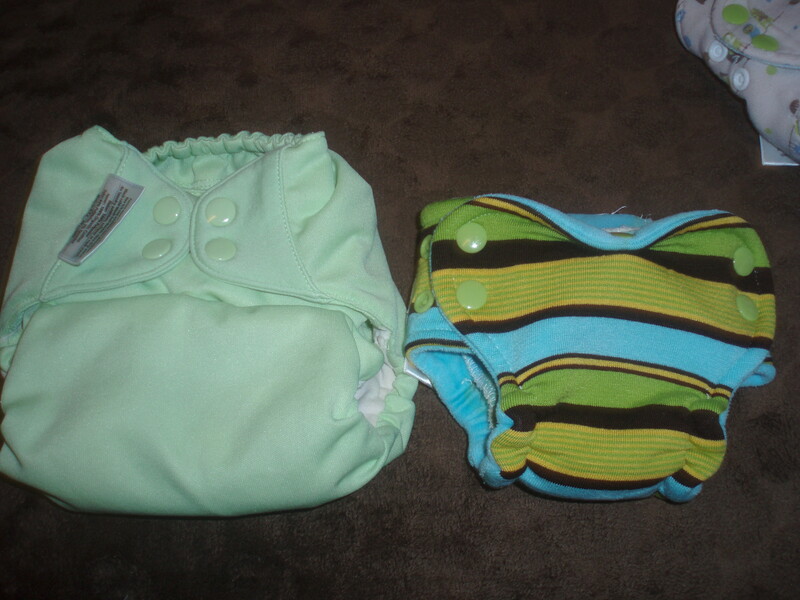 The diaper color combinations are nice and sound so cute. (The diaper above is lemon lime!) But the quality isn’t the best. 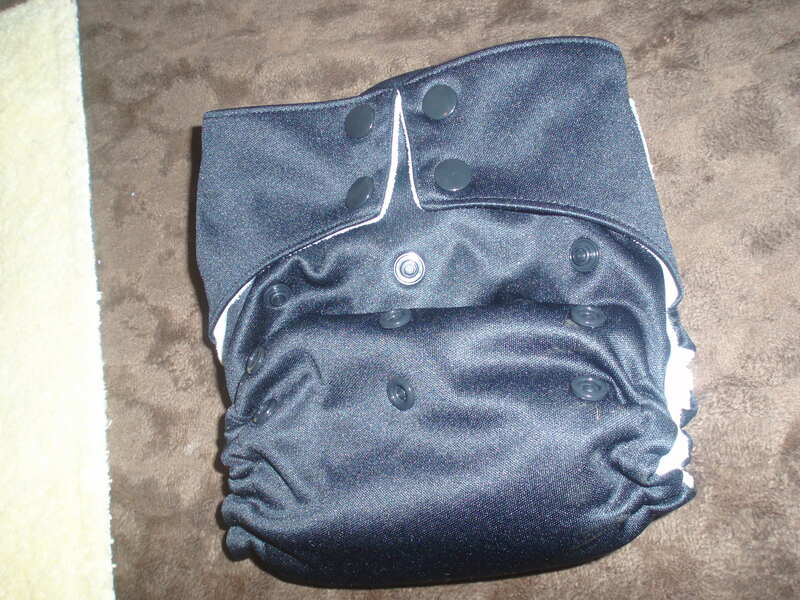 This is a one size pocket diaper with an internal leg elastic adjustment. Some people really like these adjustments because you can set it and not worry about it again until your child moves up in the size. Well, when you have more than one in diapers, this feature is obnoxious. I must either set the leg elastic adjustments every time I use this diaper, or must set it aside for only one of the three kids. Since the elastic adjustment takes quiet some time, and I am the only person in our house capable of such a feat, I set it aside for the small one. I had a horrible leaking experience with this diaper. 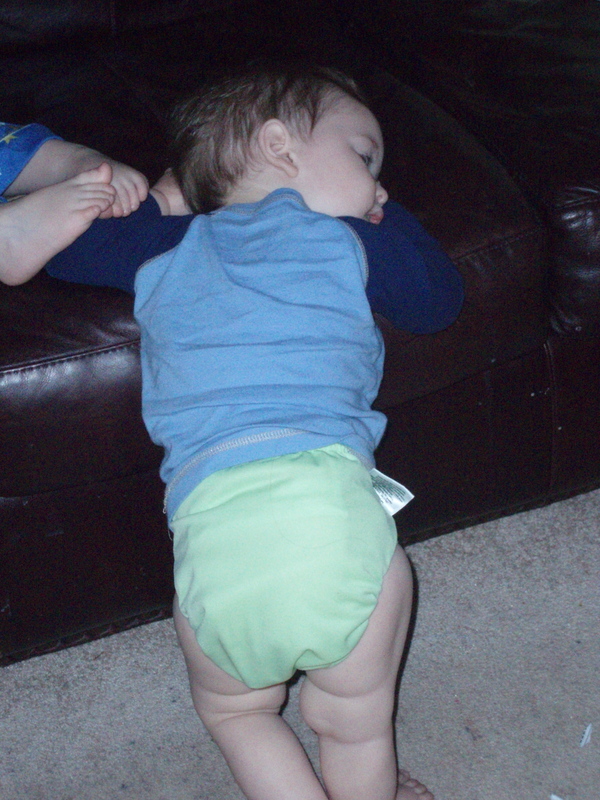 I had an insert and a double in the diaper and the baby (3 months old) pooped. I’m sure moms who have had exclusively breastfed babies know how this poop looked. (For those that don’t, it was runny, yellow, and quite explosive!) The poop leaked out of this diaper! 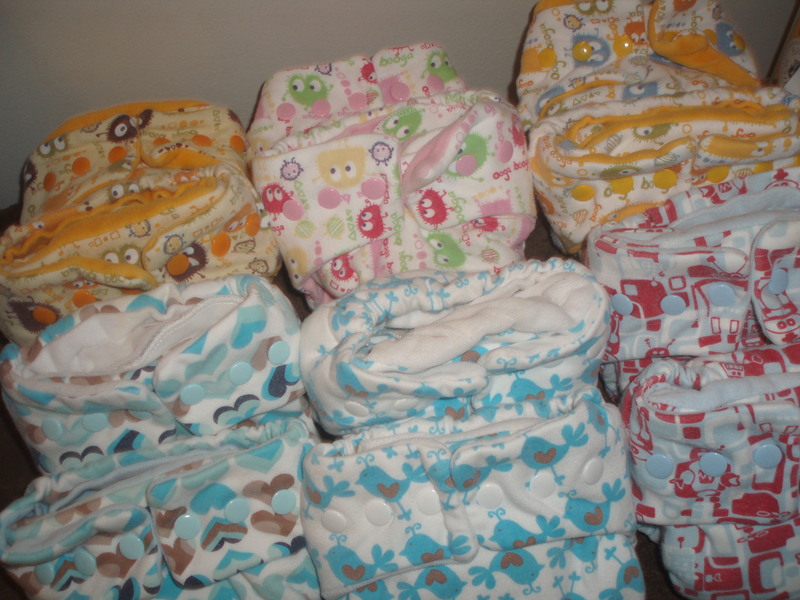 (I convey shock, because in my experience, you have far less blow outs with cloth diapers than the paper kind. You also rarely- if ever- have a poop leak!) It did not shoot out the back or down the legs. It leaked out of the seams! That’s right, the poop just oozed out of the seams of this doubled diaper on a 3 month old! Now for the specifics on this diaper. 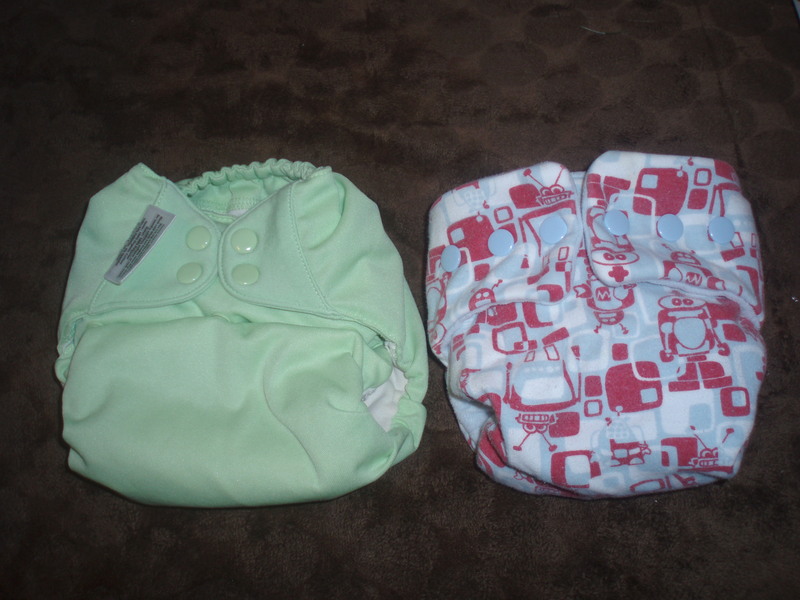 As a one size diaper, this diaper claims to fit birth to potty training. This is one of the smallest one size diapers I have seen. Realistically, it would fit from about 6 lbs. to about 30. At 17 lbs, Emery now wears the elastic on the largest setting. And you should note, that I never really got it to work well on Emery until he was about 10 lbs. On the really small setting, there was so much excess around, I ended up with the occasional leak. 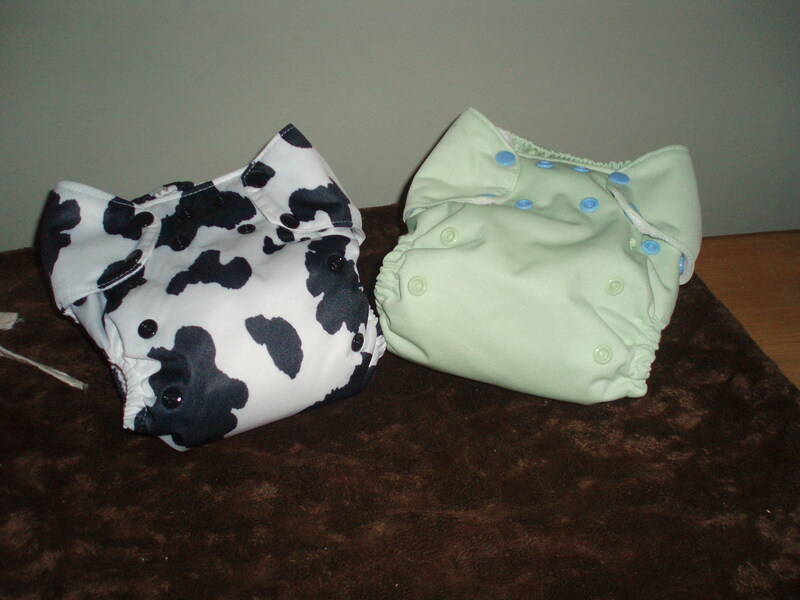 BumGenius, Nicki’s Diapers, Fuzzi Bunz, and Happy Heiney inserts fit this diaper. So when it is all said and done, do I recommend this diaper? No, I don’t. For the money you can get a much better diaper. Heck, for less money you can get a better diaper. 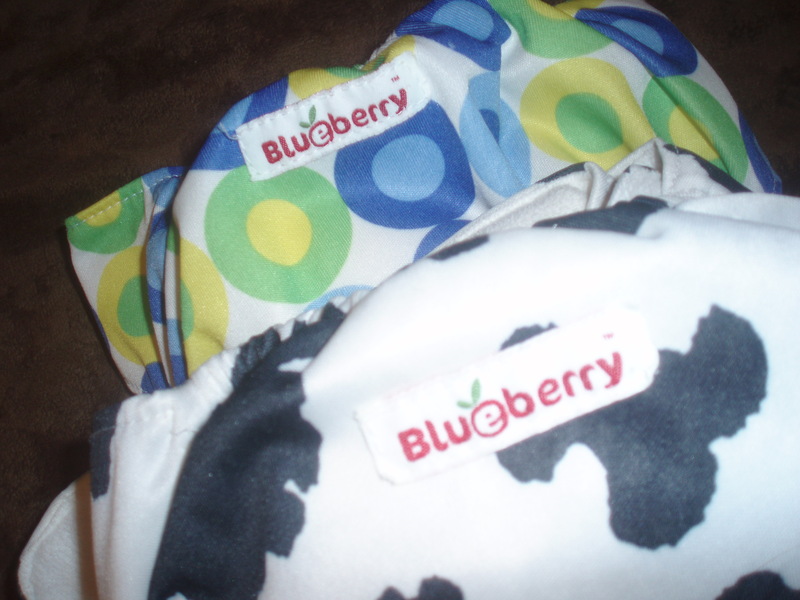 But if you want a small one size diaper and just can’t resist the cutesy names for the color combinations (Lemon berry anyone?! 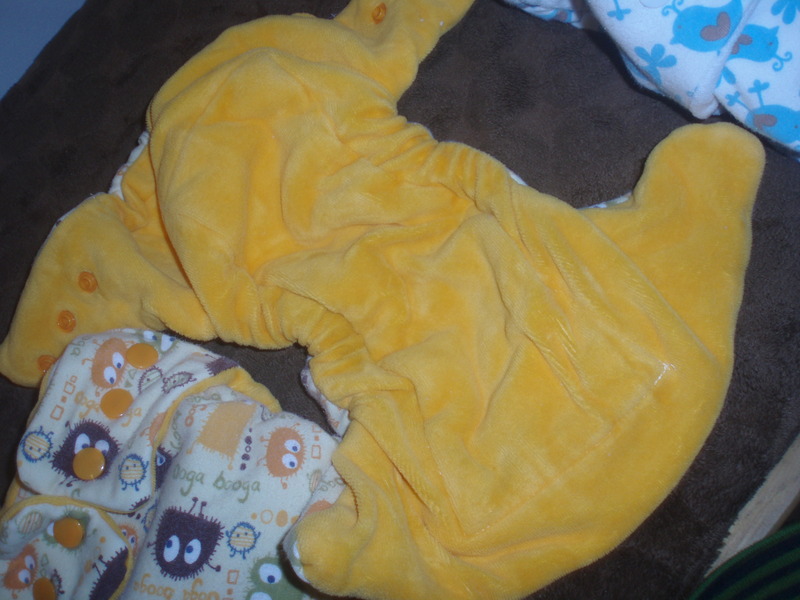 ), you will be able to USE the diaper. I just don’t find it worth the money. 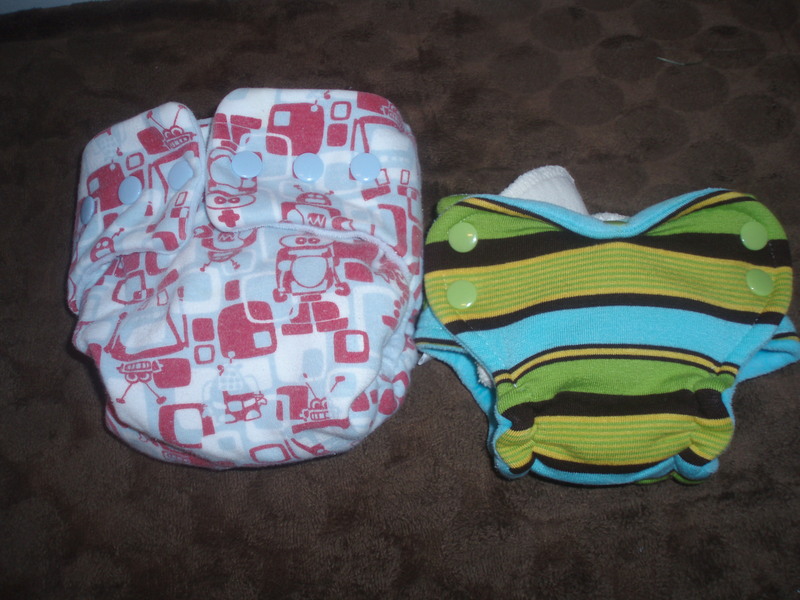 (If you find some on the super cheap- less than $12 a diaper – then by all means, go forth and work the deal. I doubt they’ll be your favorite diaper, but they’ll do.) I don’t recommend them as a night time diaper. 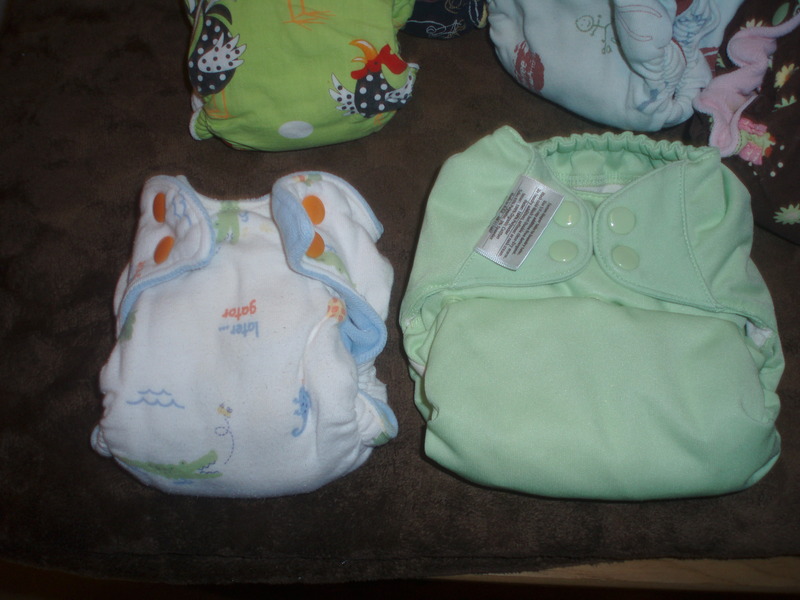 The diaper is so small that once you double it up (or triple it up depending on the kid) it is not going to fit so well. I also don’t like to use them on trips because of their tendency to leak through the seams.